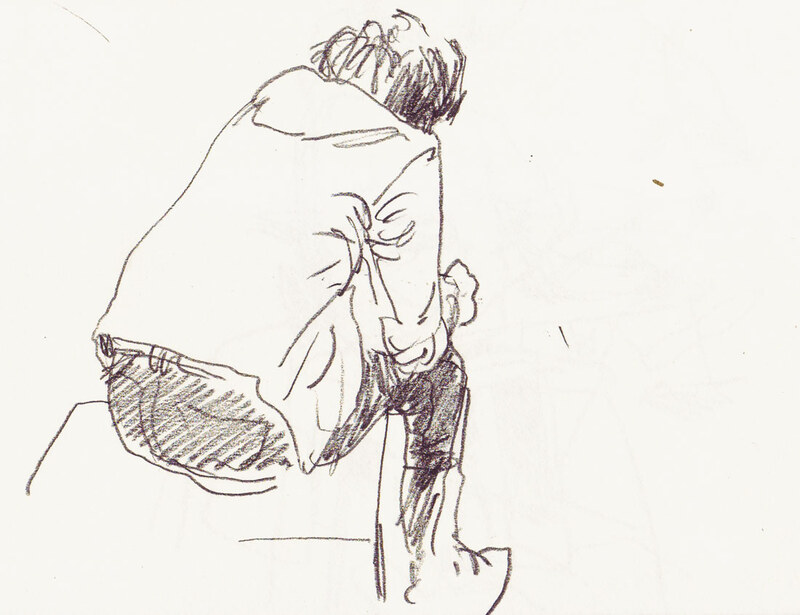 Apart from that, it was great to meet the many 'senior' Urbar Sketchers that attended the Sketchcrawl, and in between I could get a glimpse of the cool party that the people of the Fondation Beyeler had put together. Very nice people to work with. 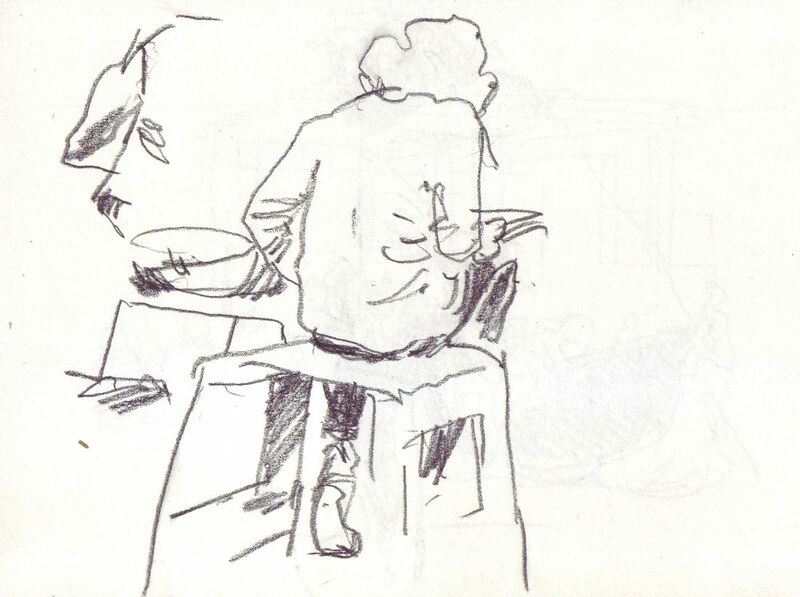 I would have liked to draw too, but all I managed to do was a couple of quick sketcher of our visitors in action. in der Kürze lebt die Würze...oder: jede Zeichnung eine Perle!